Jodie Baltazar is a multi-disciplinary artist whose works encompass music, performance, film, social practice, and sculpture. She has consistently explored ontological themes, specifically the role and status of the human being in the natural order, human-animal-plant-machine relationships, and the consequences of human development, especially in its Western guise, on the rest of the world. Jodie played in numerous experimental Chicago bands including Fleshy Hollow, Math, Dot Dot Dot, and Duotron through the 1990s. From 1996-2003 as a musician-performer known as Monotrona, she created seven one-woman shows in which she sang, danced, and performed as a series of nearly-human characters or ‘superbeings’ (an alien, a primate, a god, a machine, a monster, a superhero, a giant, and a ghost) in self-designed costumes and sets. Jodie also worked professionally for many years as a project manager, information architect, and creative director in interactive advertising and marketing before turned to filmmaking in 2004. She earned an MFA in Film Production from the University Of Southern California in 2008, with a focus on producing and screenwriting. She has produced two narrative feature films, a documentary, and numerous shorts. 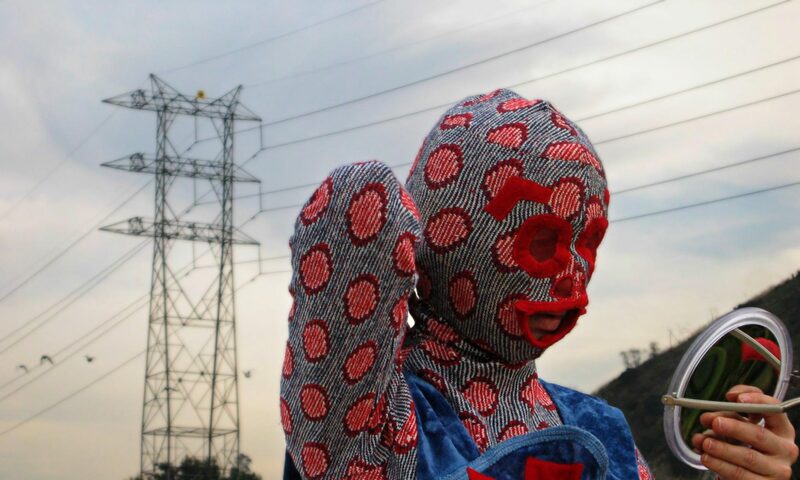 She has also created several experimental and animated pieces which have dealt primarily with the body and its “atavistic” connection to the natural world, with consumption and consumerism, as well as with the role of play and games in society. In 2010, she was awarded a Fulbright Scholarship to Poland to investigate notions of scarcity and abundance in communist and post-communist Polish animation. Upon settling permanently in Poland, Jodie took another turn toward social practice and from 2011 to the present has undertaken numerous film and eco-social projects which examine “wildness” in the urban environment, social and cultural notions of space and community, natural processes (composting, soil, wild plants), and the use and transformation of public space in the post-post-communist landscape. Her book, Głodni zielonej Warszawy (Hungry for Green Warsaw), published in October 2018, was in a sense a culmination of these investigations. In the last four years, Jodie has increasingly embraced materiality in her work. Since 2015, she has been creating figurative sculpture using natural materials such as wood, glass, metal, cork, cotton, linen, wool, leather, suede, plant resins, beeswax and other non-traditional materials such as kombucha and hair. Presently she is experimenting with ways to combine her numerous practices, specifically performances that involve sculpture and interactivity. She currently teaches courses in directing and producing at the Warsaw Film School and also works as a freelance producer.